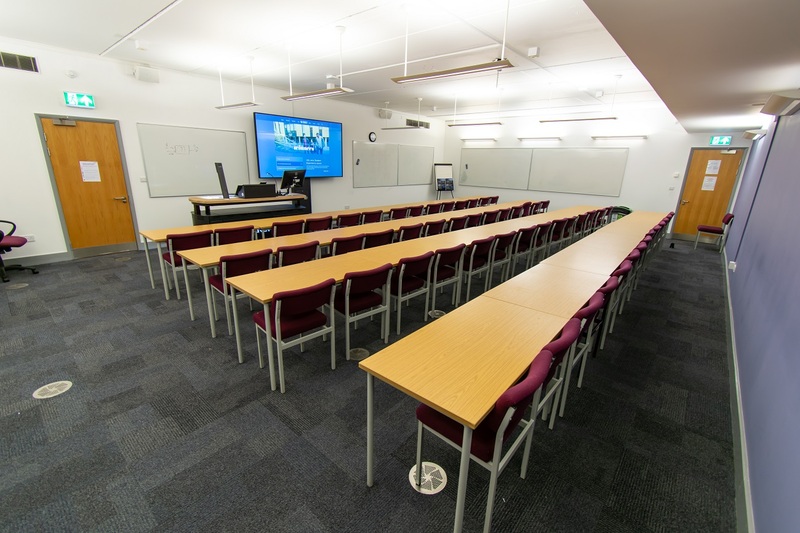 The upgraded teaching spaces provide facilities for the Surrey Business School and School of Hospitality and Tourism Management. 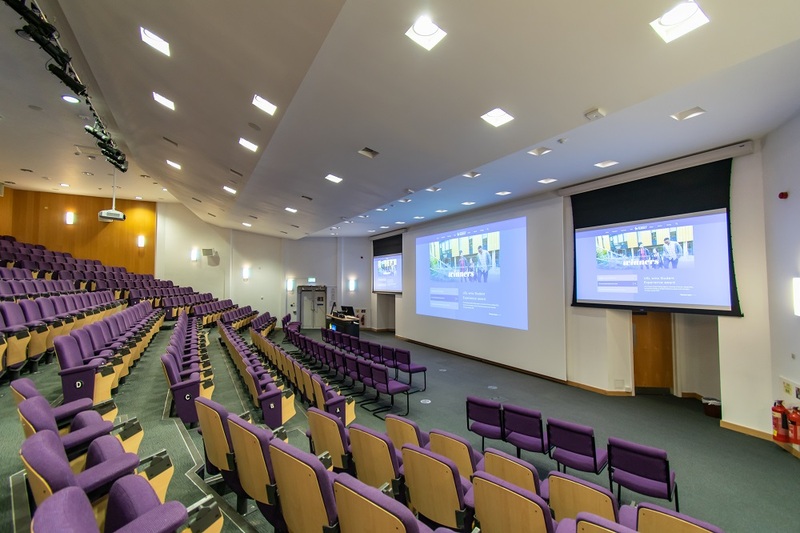 The project includes a 400+ seat lecture theatre and teaching spaces on the ground, first and second floors to provide standard teaching functionalities that match the standards being deployed as part of the audio-visual strategy. Simple and quick: a system which is inherently designed for ease of use by academics. 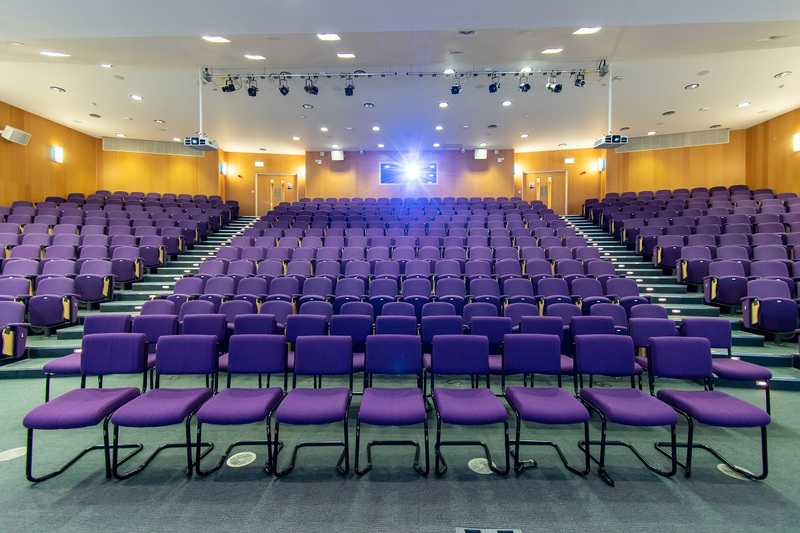 Built for Flexibility to meet the needs of classroom lectures, private-hire for events, and a fully functioning cinema theatre. The system must revert from one mode to the other within seconds and require minimum user intervention. 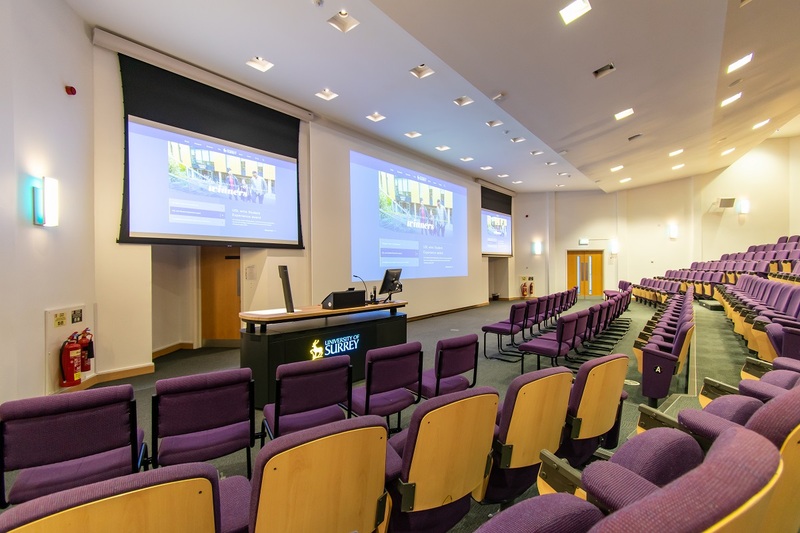 Teaching spaces: the lecture theatre is equipped with best of breed hardware but more importantly, the infrastructure should be interconnected with ‘Control Rooms’ for live lecture capture, streaming, editing and remote monitoring. Lecture capture and richer classroom interactions for students, outside of textbooks. Ease of Use: technology should remain transparent allowing for staff to concentrate on teaching. Fibre +CAT6A + AVOIP infrastructure to support up to 4K resolution signals throughout all spaces. Simplification of M&E – fire alarm, lighting and blind controls to sit on AVoIP control network. 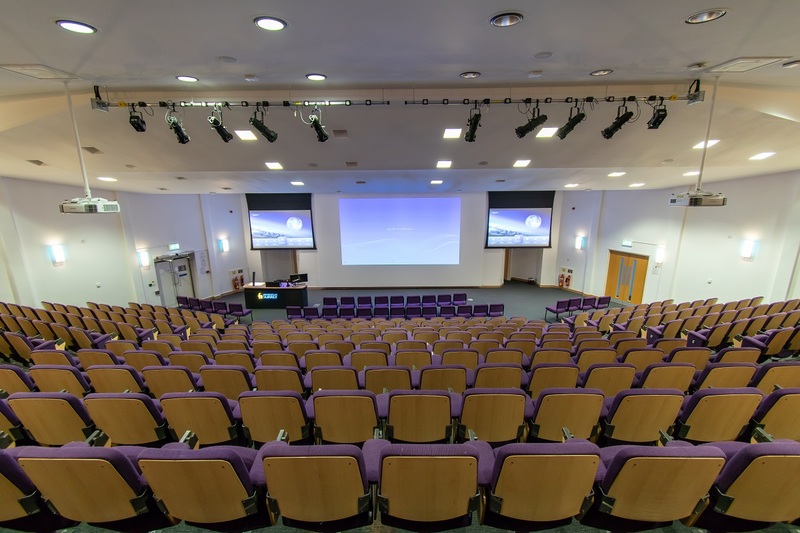 There are three disparate user groups in the Lecture Theatre- Classroom Lectures, Live Events and Cinema Theatre. 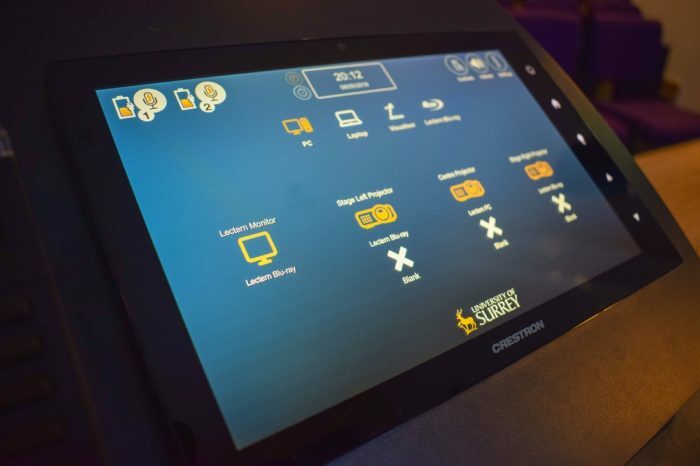 The system was therefore designed for fast and reliable switchover from one user mode to the other, quite literally at the touch of a button. > Three projection screens allow for different sources to be displayed on each screen. > Dedicated adjustable lens that can be controlled to recall zoom and focus pre-sets to allow the projector to manage different screen formats in the scaled inputs. > One ceiling mounted EPSON 15K ANSI LASER WUXGA projector with 4K enhancement (in the rear projection control room). > Two EPSON 6K ANSI LASER WUXGA Projectorswith 4K Enhancement. 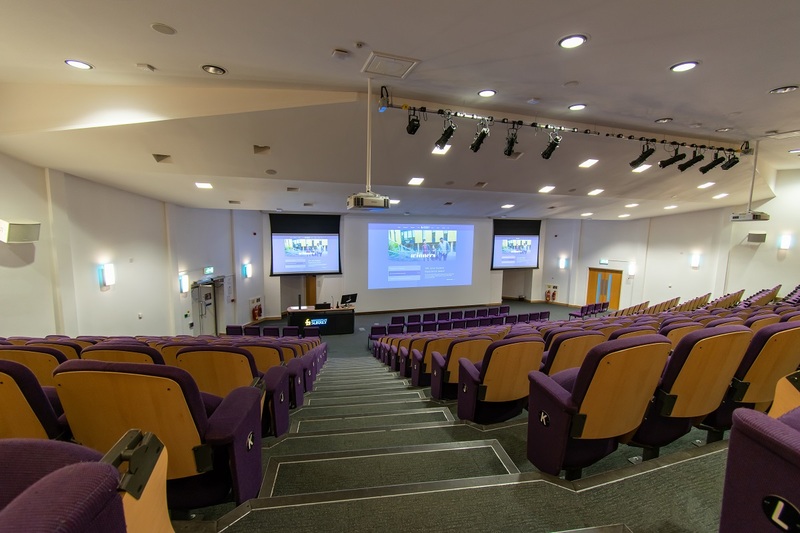 Separate projection screens either side of the main screen to either repeat the same image as displayed on the centre projector or to display multiple sources independently of the main display. 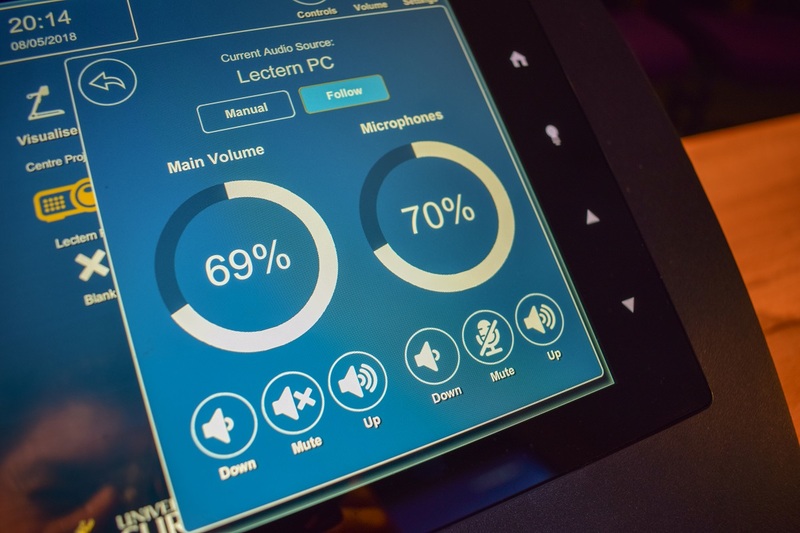 > Crestron 7.1 High-Definition Professional Surround Sound Processor allow the volume of each audio signal to be varied independently of each of the others. Connectivity also integrated for the events team to better integrate their 3rd party equipment with the AV system. The user can present from a purpose-built height adjustable, DDA compliant teaching desk. “I have 10 minutes between lectures and it takes me five minutes to set up. It’s extremely simple. 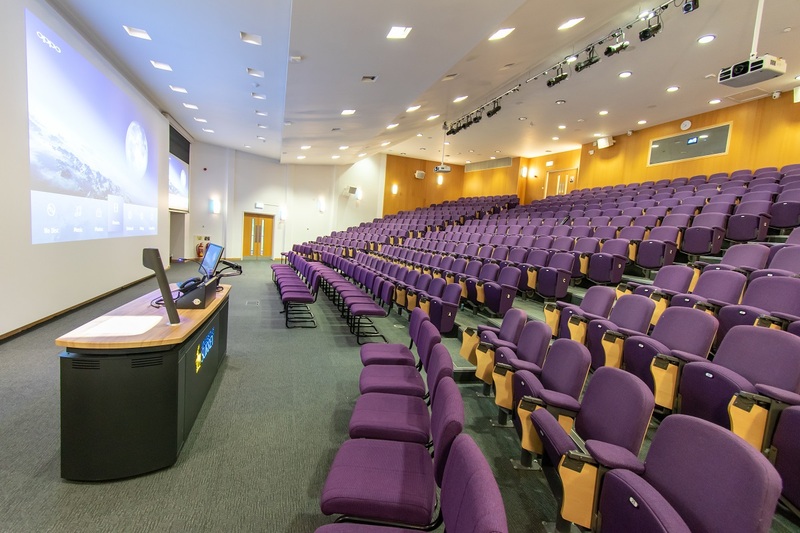 The Crestron system helps with the learning experience because I can walk into a lecture theatre and be confident that it will work”. 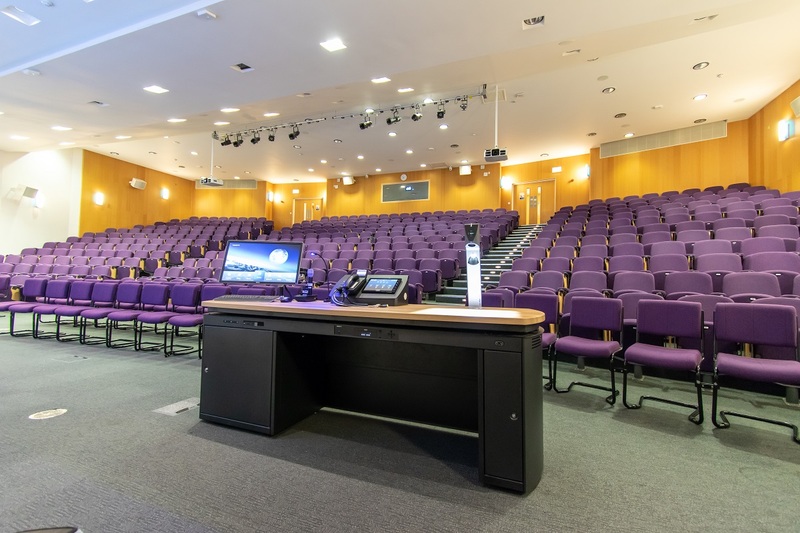 Teaching spaces for small to medium sized groups in a traditional presentation-type format with the academic presenting from either a tutor desk or a dedicated display stand. 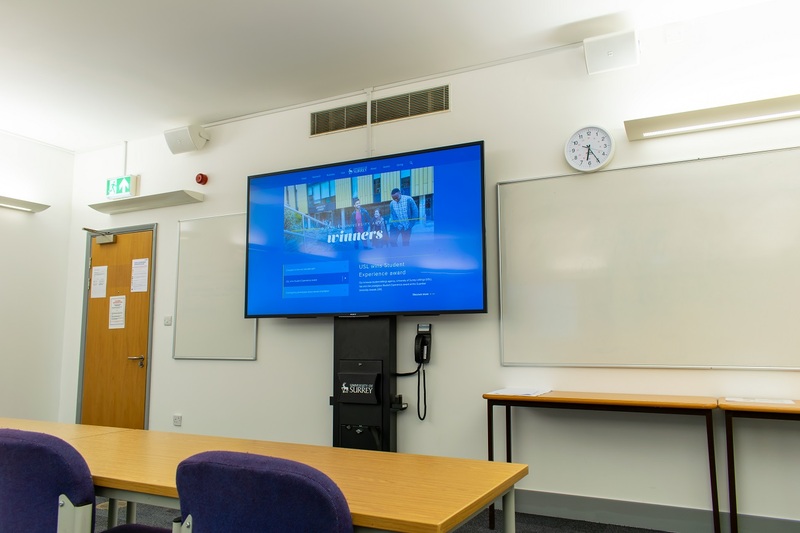 A Wolfvision visualiser for presentation and annotation in each of the rooms, which are fixed for rooms with tutor desks and portable for all other rooms. The tutor can use the room PC located in the tutor desk or display stand to present and record via Panopto Lecture capture at the same time. Download the full case Study PDF and read the full specifications.